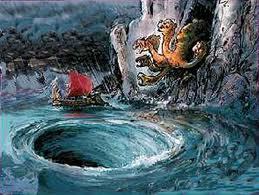 Arrogant idolatry and cowardly silence are the Scylla and Charybdis of modern theology. While some prattle on, boastfully sure about the God who obviously fits their preconceived notions of deity and cultural expectations, others are too suspicious or scared to speak in more than a doubtful whisper about him. ‘You shall not profane my holy name, but I will be hallowed among the people of Israel; I am the Lord who sanctify you’ (Lev. 22.32). This requirement–that God be feared and his name hallowed–is in many respects the requirement of theological reason. Reason can only be holy if it resists its own capacity for idolatry, its natural drift towards the profaning of god’s name by making common currency of the things of God. A holy theology, therefore, will be properly mistrustful of its own command of its subject-matter; modest; aware that much of what it says and thinks is dust. God’s holiness means that theology stands under the prohibition: ‘Do not come near’ (Ex. 3.5). Accordingly, theology will be characterized less by fluency and authority, and much more by weakness, a sense of the inadequacy of its speeches to the high and holy matter to which it is called to bear testimony. Nevertheless, this prohibition is not an absolute moment by which reason is entirely incapacitated. Alongside the prohibition stands with equal force an imperious command to speak: ‘Who has made man’s mouth?…Is it not I, the Lord? Now therefore go, and I will be your mouth and teach you what you shall speak’ (Ex. 4:11-12). The command is also a promise–that God will make holy reason capable of that which sin makes it incapable; that because the speeches of reason are in the hands of God, they may also serve in the indication of the gospel’s truth. Idolatry is reproved, not by silence, but by speeches that set forth what God has taught. And in such speeches, holy reason gives voice to the fear of God. Those who would be honest to God must strive to avoid both pride and sloth in their God-talk. Theological pride overestimates the adequacy of human language and thought; theological sloth underestimates the importance of responding to the provocations of God’s self-revelation. The one goes before destruction; the other pre-empts instruction. Yet it is hard to miss the recurring biblical theme that God wills to communicate and make himself known: “The word of the Lord came to . . .”; “the Lord said . . .”. Theology is ultimately irresponsible if it fails either to attend to what God says or to think about the nature of the one who addresses us. So how do we speak well of God? By proceeding with humble obedience, listening before we speak, and submitting every word to the Word for judgment and grace. Thanks for this bro. Immediately made me think of Proverbs 10:19 and even Ecc. 5:3. As i went to Ecclesiastes, i wondered even if 5:2 could not also have application for speaking *about* God as much as how we speak to Him?